Husqvarna’s young Factory Support racers were forced to cop some bitter racing luck on the chin as this year’s MX Nationals passed through Shepparton in Victoria for its eighth round. 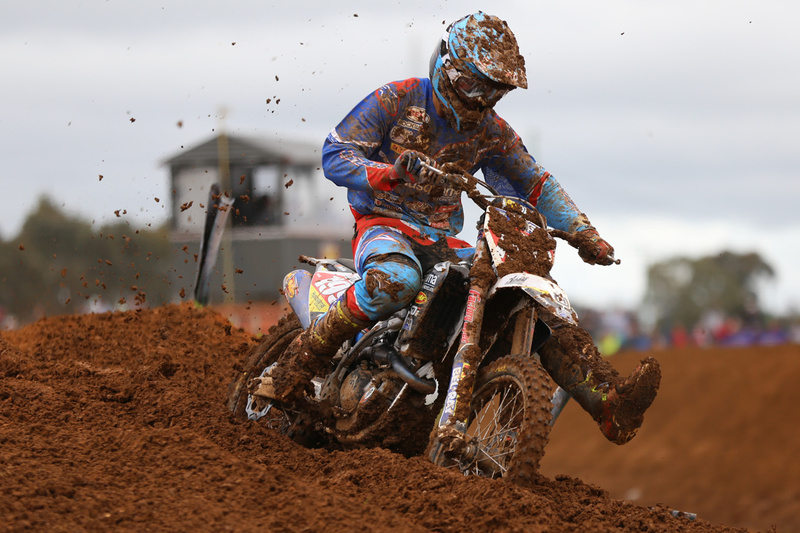 Husqvarna Factory Support racer Nathan Crawford’s lead in the MX2 championship became a shared one when he rode his Husqvarna FC250 to 3, 3 finishes for third overall behind Jed Beaton and Caleb Ward. Beaton closed the gap in the championship chase, and the stage is now set for a straight-up fight for the win across the two remaining rounds in Toowoomba and Coolum, with the series third major contender, Caleb Ward just 15 points behind. “The day was looking really good, but a few little things went wrong,” Crawford said. “I could’ve won the first Moto but I got a 15-second penalty, then in the last moto I was right there with the top boys and had a crash. So, 3-3’s not terrible, but it’s not great either. In the MXD category, a heavy crash in the opening moto caused Husqvarna Support racer Connor Tierney to relinquish his lead in the Under 19s. Battered and bruised he returned for the second, only to be felled a second time, this time by a fallen rider. To his credit Tierney remounted, gritted his teeth and pushed back through to second place, limiting the damage to a three point deficit entering the final two rounds of the championship. “In the first Moto I lead for a lap and then made a small mistake and Mitch got around me” Tierney recalled. “I started chasing him but got a little bit frustrated and tucked the front and went down hard. It was one of those hits where you can’t get an ounce of breath in your lungs and you think you are going to die. I ended up getting going. Everything was pretty twisted up and I ended up getting back to ninth, but I was hurting pretty bad after that. Fellow FC250-mounted Husqvarna Factory Support racer Zak Small capitalised on his race one third place and was on track to record his very first national podium – while stuck in third gear – after having snapped off his gear shifter during first lap push and shove. 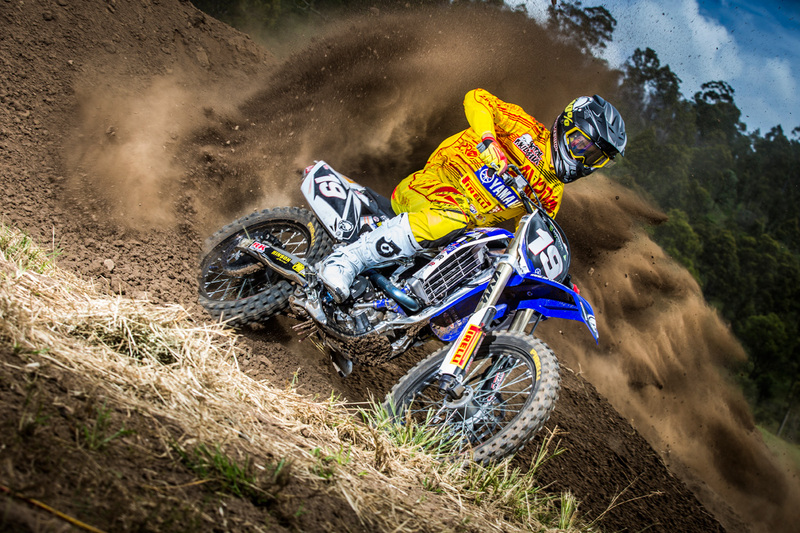 “I got a pretty average start in the first moto but I made quick work of a lot of riders,” Small said. “I got to second and stayed there until the second last lap when Wade got me. I’d actually had a pretty big crash in practice and qualifying, so to get that first moto out the way was awesome. 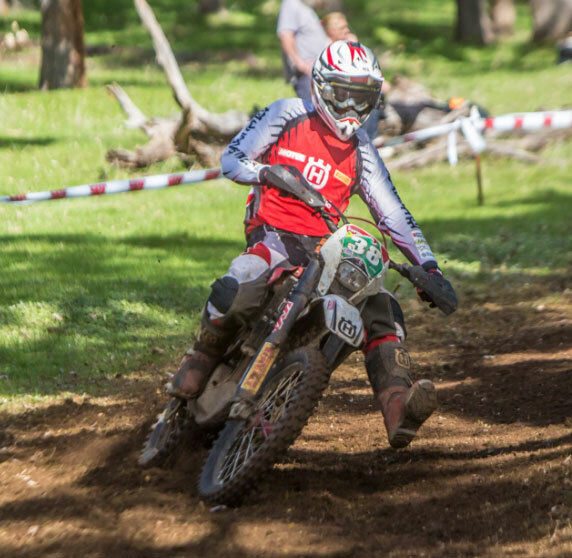 SD3 Husqvarna team rider Kaleb Barham climbed one place to fifth in the championship after posting 7, 5 results for fifth overall in Shepparton. The Toowoomba racer is now eagerly looking forward to the next round of the championship at his home track of Echo Valley in three weeks time. “It was an interesting track that’s for sure, but very technical. I did pretty well in the first one considering the concrete start doesn’t really suit me,” Barham commented. 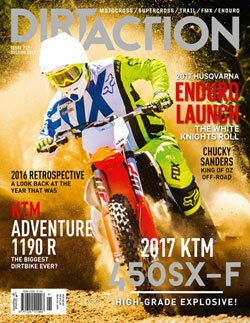 “Being light on the bike has its advantages on the dirt, but it’s a disadvantage on wet concrete. So I came from the last out of the first corner in both motos. I came through to seventh in the first one – didn’t do anything overly spectacular.